Some times as our business grows, the complexity can start to consume valuable time for administrative duties that take away from more important revenue generation responsibilities. Fixed asset management is a process that tracks your company’s fixed assets for the purposes of preventive maintenance, accounting, taxation and depreciation, and theft deterrence. Businesses can face significant challenges in tracking the quantity, location, condition, depreciation, maintenance, and status of their equipment and fixed assets. BBS can develop a customized yet simple system for you to track and maintain your fixed assets. Your unique process may involve just using a simple spreadsheet or may utilize sophisticated software to track serial numbered Asset Tags, which are labels that are often with bar codes for easy and accurate reading. 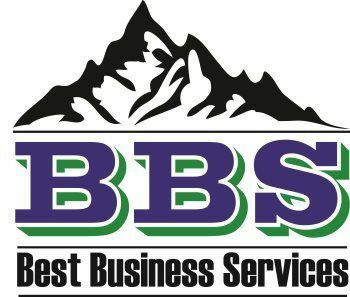 As needed by your business, BBS can periodically provide you with various updated fixed asset reports. Monitoring and tracking assets is an important concern for companies of any size. For accounting purposes, fixed assets can be defined as any 'permanent' object that a business uses for its operations including but not limited to software, machinery, tools, computers, and vehicles. While each employee may use a certain asset, tool or computer, the asset ultimately belongs to the company. Without an accurate method of tracking each asset, the company may easily lose control of them. With advancements and improvements in technology, asset tracking and monitoring software is available that can help any business of any size to accurately track valuable assets such as equipment and supplies. Asset tracking software and processes allow companies to track its assets, who has it, where each is located, when it is scheduled for maintenance, when it was checked out, when it is due for return, and the cost and depreciation of each asset. Most asset tracking solutions provide pre-built reports to allow you to track assets by department and category, net book value of assets, check-in and check-out, audit history, assets past due, and various other transactions. As a trusted name in fixed asset management for many years, BBS’s fixed asset solutions can help your company increase accuracy, reduce costs, and eliminate redundant data entry while preventing regulatory noncompliance. By utilizing several depreciation methods and combining numerous tax and accounting rules, and a unique intuitive process, BBS’s Fixed Asset Management can provide you with the most complete fixed asset management solution available. With comprehensive asset tracking, account reconciliation, sophisticated depreciation calculations for tax and financial reporting, customized reporting, and construction-in-progress management, BBS can help your business effectively and efficiently manage every step of the fixed asset lifecycle -from acquisition to disposal. All of this vital information can be captured in one customizable program and can be used on personal computers as well as cell phones and other mobile devices. As a result, businesses can reduce expenses through improved equipment maintenance and better loss prevention. Companies can reduce purchases of new and unnecessary equipment, and they can more quickly and accurately calculate depreciation schedules for tax returns.